We provide virtual machines (VMs) as needed for students registered for courses in Computer Science. All virtual machines are hosted in an OpenStack cluster located in the basement of the Davis Marksbury Building. 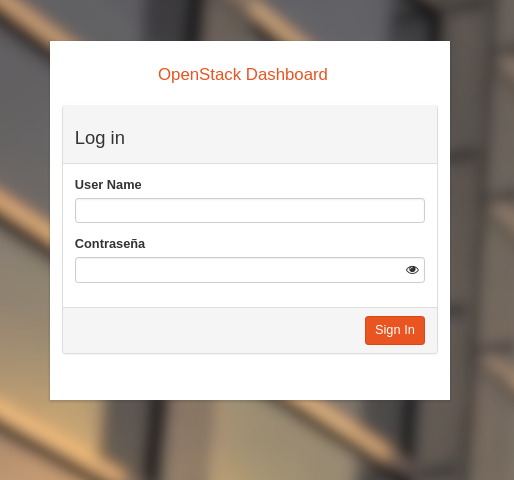 You can manage your VM through the OpenStack dashboard. The dashboard is helpful when the VM is non-responsive and needs to be forcefully rebooted or for configuring the network firewall. 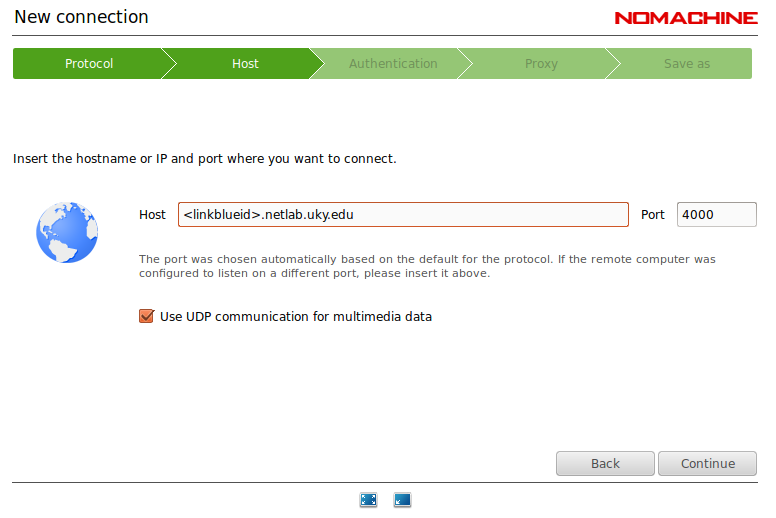 The dashboard can be accessed by going to https://dash.netlab.uky.edu. Log in using your LinkBlue credentials. OpenStack calls VMs “instances” and accounts “projects”. 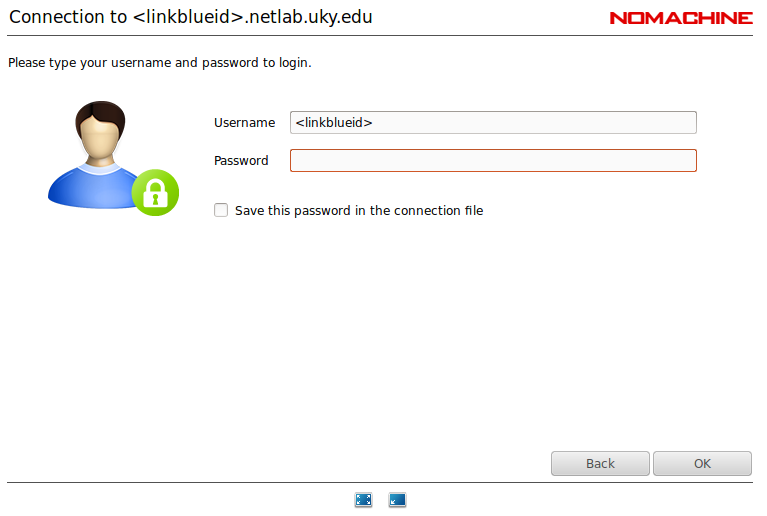 Your VM and project, as well as your login account on the VM, are all named after your LinkBlue ID. Upon logging in you should see an overview of your account and, at the bottom, your LinkBlue ID as a hyperlink. This is your VM instance. Click the link to open the management page for the VM. The tabs available on the instance page give details of the VM as well as its firewall settings (called “Security Groups”), logs, and a console. 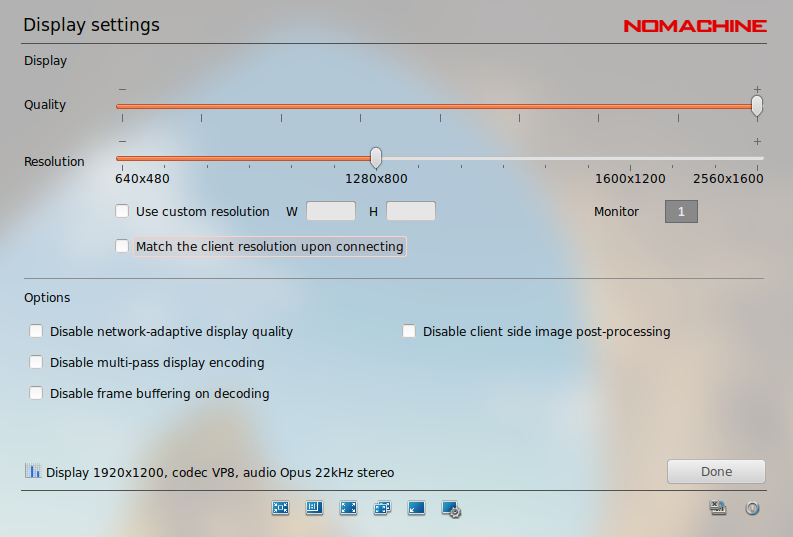 Use the console only when NoMachine (see below) is not available, because NoMachine provides far better performance for a graphical desktop. If the console is not responding to keyboard input, either (1) click the blue/grey status bar at the top of the console, or (2) click the “Click here to show only console” message, or (3) refresh the web page in your browser. 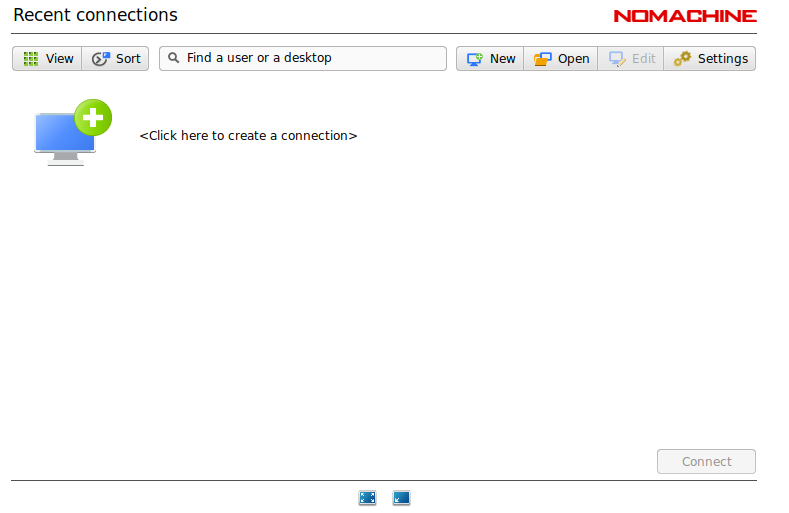 NoMachine provides the best experience for connecting to the VM’s desktop. You can download it here. Your VM already has NoMachine installed. 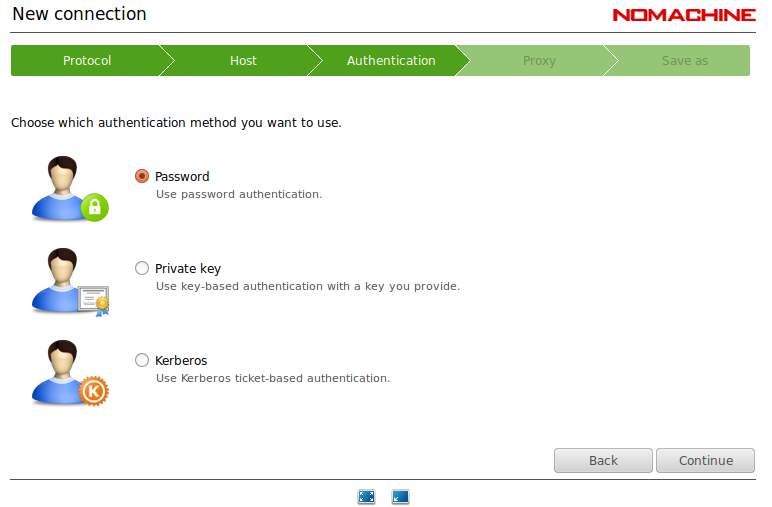 Once you have installed NoMachine on your own machine (laptop, for instance), follow the images below for guidance. Click on <Click here to create a connection>. 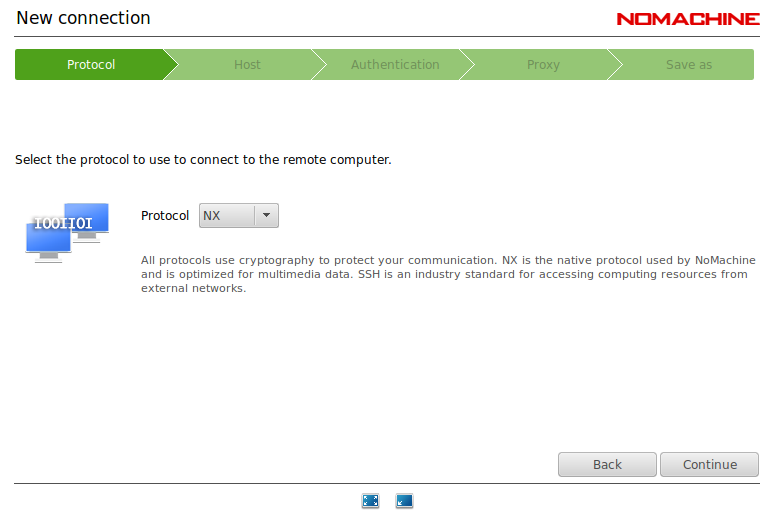 Make sure the protocol is ‘NX’, then click Continue. Enter the name of your VM (its DNS address). 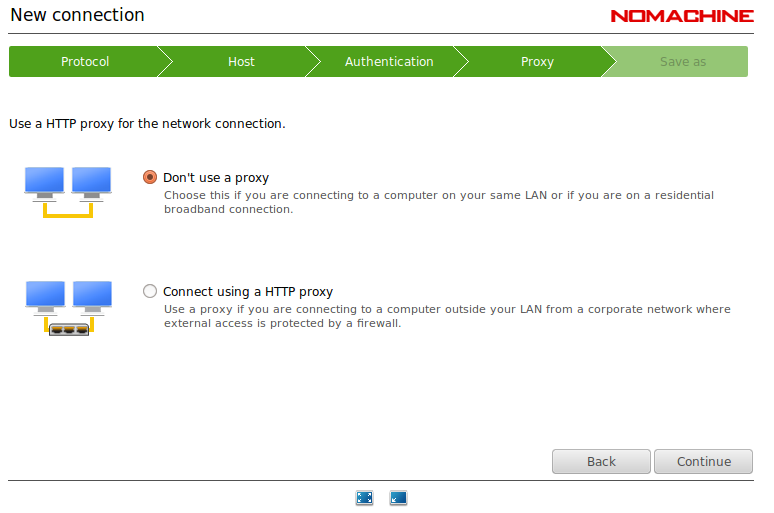 Most users do not need to configure a HTTP proxy. Display resolution can have a dramatic affect on performance. 1280x800 is a good initial setting. SSH has the advantages of speed and accessibility, but it lacks a graphical user interface. If you are connecting from a machine able to receive forwarded X Windows connections over SSH, add -Y as a flag to the ssh command. Now you can run windows applications on your VM and see them on your own machine. You need a local X server running on your machine. On a Mac, you might want to use the terminal app along with XQuartz. On a Windows machine, you might want to use Xming or Cygwin/X along with an SSH client such as Putty or MobaXterm. The default firewall settings for your VM block all ports except for the ones used by SSH and NoMachine. Although you may adjust your VM’s firewall settings, please contact help@cs.uky.edu for assistance. Open ports can be a security risk.